In his seventh book, Malcolm, who now lives in Hastings, analyses the theories presented over the decades to explain what happened. “Mysteries are there to be solved, not to be ignored,” he said. From black ball lightning, which occurs during thunderstorms, and seeing a mirage of the planet Venus to remote anti-tank helicopters, wheelbarrow bombs and earthlights causing a strain on the Earth’s crust, fellow UFOlogists, astronomers, theorists, authors, scientists and researchers have hypothesised about Bob’s experience. There are suggestions Bob, who died in 2007, could have hallucinated from eating wild berries, from illness – or that the whole thing was a hoax. But deep down, Malcolm, who will give a talk in Deans on the anniversary on November 9, strongly believes the most credible explanation is alien life. “As a man who has spoken to hundreds of UFO witnesses over many years, none have convinced me so much as Bob Taylor,” he said. “His demeanour, his character and his overall persona came across as honest as the day is long. People often think the paranormal is a big joke, but the number of sightings in recent years has certainly increased. 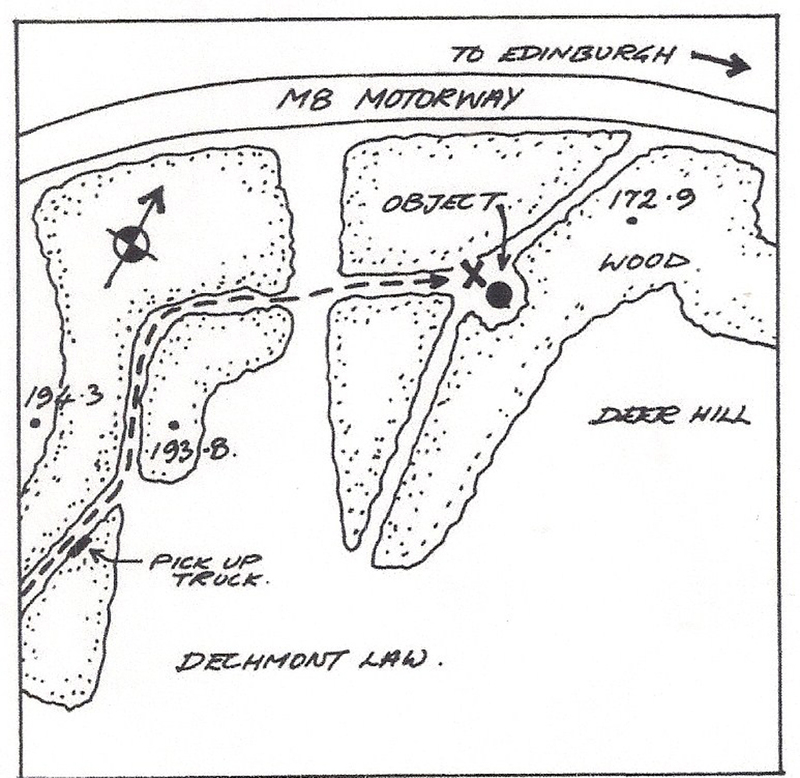 “There have been many other astonishing UFO cases which have been recorded above the Scottish skies from small grey creatures spotted in a Fife wood to a hovering UFO which was photographed above Craigluscar Reservoir near Dunfermline. And that’s before Bonnybridge (the site of many allegedly alien sightings and dubbed the UFO capital of the world). In the last 10-15 years, there have been about 300 sightings in Scotland every year – and I would class at least a third of these as bona fide sightings. 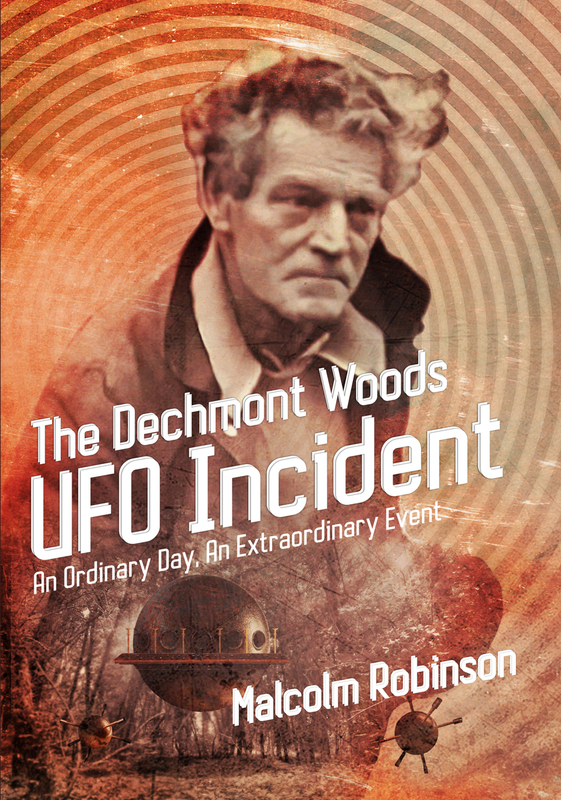 Malcolm, whose daughter Karen has followed in his UFO investigating footsteps, added: “The Dechmont Woods incident case is certainly not closed. It remains open until such times as something new comes along; a new theory perhaps that may shed some important new light on a mystery that has held a fascination not only for me, but for countless others as well. 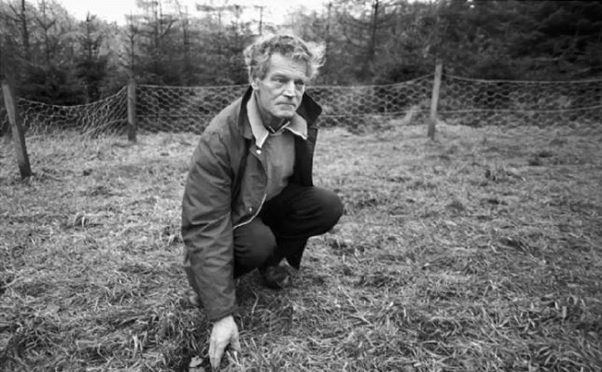 “Robert Taylor passed away in 2007, but his story will live long into the future. The grandfather of all UFO conspiracies, the Roswell incident, on June 14, 1947, is described by many as the catastrophic crash of an alien spaceship in the New Mexico desert. It’s thought the US government supposedly retrieved the spacecraft and its aliens. Villagers in Aurora, Texas, saw a big flying ship “shaped like a cigar” crash into a windmill belonging to one of the local judges. It was April 1897, and this tiny town northwest of Fort Worth, became the 19th-Century version of internet famous for a brief moment as the only place in America with a UFO. Hundreds of residents in Bonnybridge, Falkirk, claim to have seen flashing lights in the night sky amid claims of alien abductions, beginning in the winter 1992. The small town has been named the UFO capital of the world. Long before the days of Photoshop, Paul and Evelyn Trent shot pictures of flying saucers outside their farmhouse near McMinnville, Oregon. The pictures were so dramatic, they were published by Life. These images have never been debunked.